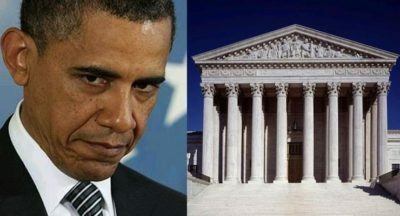 SIX SCARY WORDS: Supreme Court Justice Barack Hussein Obama? Subject: Fw: SIX SCARY WORDS: Supreme Court Justice Barack Hussein Obama? Supreme Court Justice Barack Hussein Obama. A no-vote is the same as a vote for Hillary Clinton. He is buying a mansion in Washington D. C. and has made no secret of his desire to stay in the capitol; and he could complete his fundamental transformation of our Republic during a lifetime on the Supreme Court. If that's not enough to scare everyone into voting, I don't know what will. Even if you dislike The Donald, grit your teeth and vote for him; the alternative is simply too devastating and unimaginable ...! How do you make the perfect Key lime pie? How to Take Care of Your Rubber Boots?